Blue Holiday has decided to call foul and leave her destructive marriage. But her cheating husband, Jaylin, decides he needs her money to survive and insists on a rematch. Usually, Blue would be game, but after discovering the depths of his depravity, she drops him from her roster of eligibles. Unaccustomed to rejection, especially from his wife, Jaylin decides to take what he feels is rightfully his. Problem is, he forgot a woman in love will put up with a lot. But a woman enraged, she’ll let you think you’re winning, just before she snatches it all. 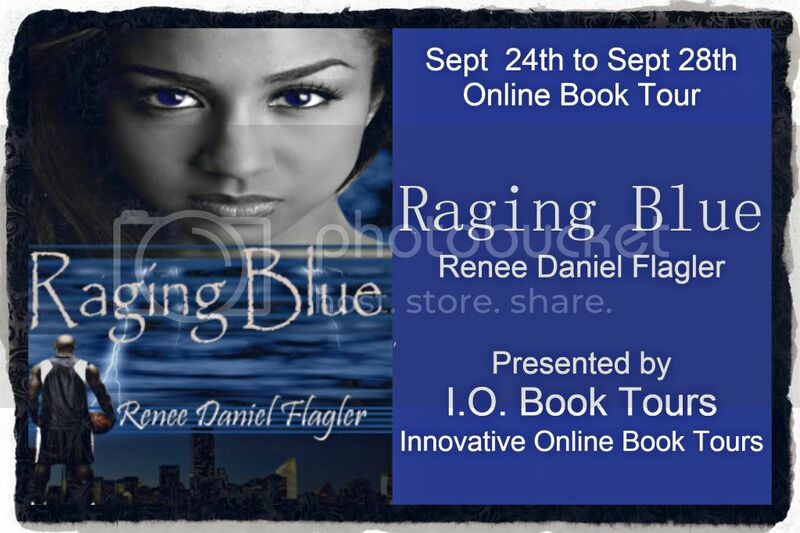 Raging Blue a contemporary romance by author, Renee Daniel Flagler. Buy your copy today. Renee Daniel Flagler is an award-winning freelance journalist, marketing professional, and the author of four novels, Mountain High Valley Low, Miss-Guided, In Her Mind and, Raging Blue. Renee is the founder of SheBiz.net, a lifestyle blog for women pursuing their passions. She teaches creative writing through the New York City and Nassau County public school’s Arts in Education programs and is currently enrolled in the Queens College, MFA in Creative Writing program. Renee resides in New York and is currently at work on her next novel, Still Raging, and her first faith-based, nonfiction book entitled, The Relationship Survival Guide.